This shelf is made with Heavy 16 ga Stainless Steel for use in restaurant kitchens. It has a handy pot rack welded underneath for quick access to you fry pans next to the stove. We can manufacturer to your specifications , for any project commercial or residential. 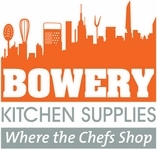 Send your request by email to bowerykitchen@mac.com for a free quote and consult.